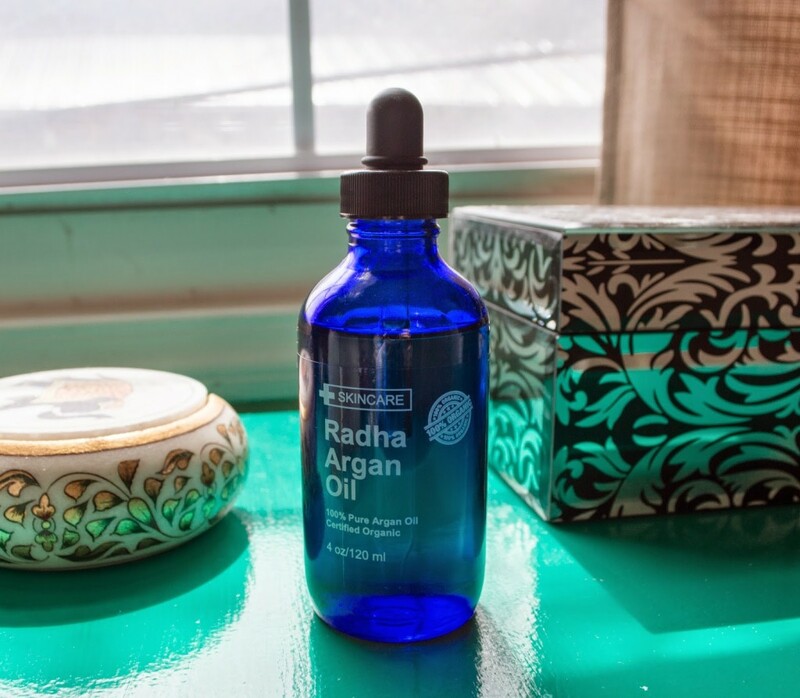 According to the packaging, Radha Argan Oil is “extracted from the nut of the Argan tree, then cold-pressed to protect its revitalizing and hydrating properties.” The argan oil is 100% organic and cruelty-free. 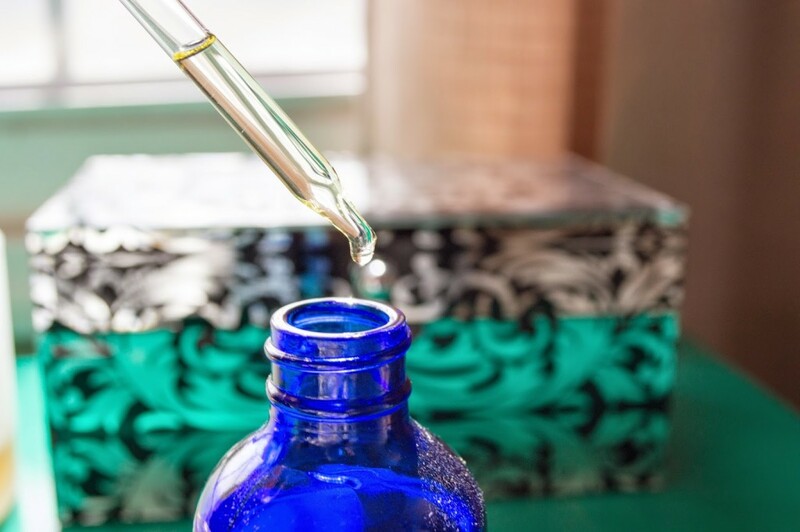 It also comes in a very pretty blue glass bottle and is packaged with an eye dropper in addition to the regular cap. The oil is imported from Morocco and packaged in the USA. I didn’t think that this product had any noticeable scent. It has a thinner consistency than a lot of the oils I’ve tried. As you may know, I only wash my hair once or twice a week. When you don’t wash your hair often, the ends can get super dry and brittle so it’s important to moisturize so you don’t get split ends. This oil is great for that because it’s super lightweight so you don’t end up looking like a greaseball. That’s not desired look, right? I’ve also been using this as a final layer in my nightly skincare routine. The oil kind of acts as a barrier to keep all my yummy skincare products on my skin, but it’s still light enough that I don’t break out. What are your favorite oils to use on your hair and skin? This post was sponsored by Radha Beauty via Brandbacker but all my opinions are my own.